For grades 1-6. An essential resource for helping students learn to overcome irrational beliefs, negative feelings, and the negative consequences that may result. This 2006 revision is packed with 105 creative and easy-to-do activities 15 are new to this edition. The activities include games, stories, role plays, writing, drawing, and brainstorming. Each activity is identified by grade level and categorized into one of five important topic areas: Self-Acceptance; Feelings; Beliefs and Behavior; Problem Solving and Decision Making; and Interpersonal Relationships. 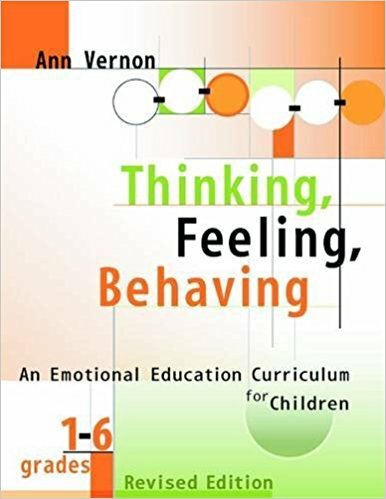 Thinking, Feeling, Behaving is an emotional education curriculum based on the principles of Rational Emotive Behavior Therapy. It can be used in classroom or small group settings.